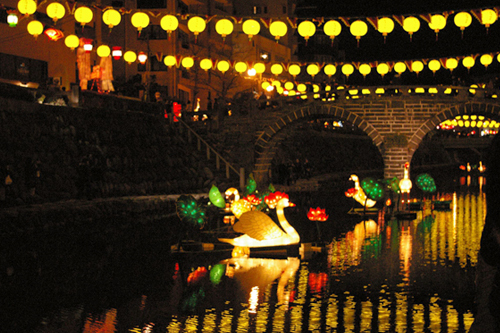 Rich with multiculturalism, Nagasaki is a beautiful port city that travelers return to again and again. 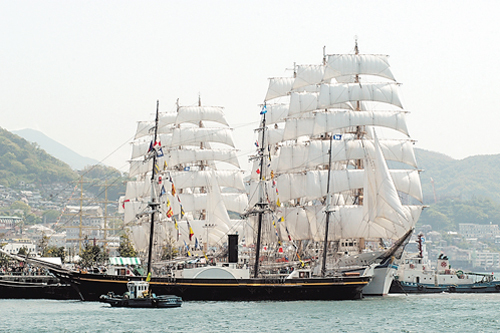 From 1543 until the early 19th century, Nagasaki was the only major international port in Japan. First the Portuguese then the Dutch and Chinese came to do trade with a very isolated Japan. 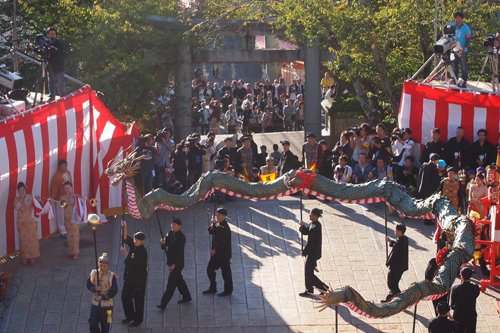 These foreign entities influenced local culture so much that you can find evidence of their impact interwoven in the culture of Nagasaki, from the sweet Castella cake to the annual Nagasaki Lantern Festival. In Nagasaki, you will find Buddhist temples alongside Christian churches and ancient Shinto shrines. From Dutch Slope to Chinatown, the city reveals its fascinating history. Known internationally as the “City of Peace and Prayer”, Nagasaki, along with Hiroshima, serves as an atomic bomb memorial. To visit Nagasaki is to see history up close and realize humanity’s great potential to do both harm and good. Unlike most Japanese cities that were built on flat plains, Nagasaki city consists of high mountains and hills that roll right down to the harbor. 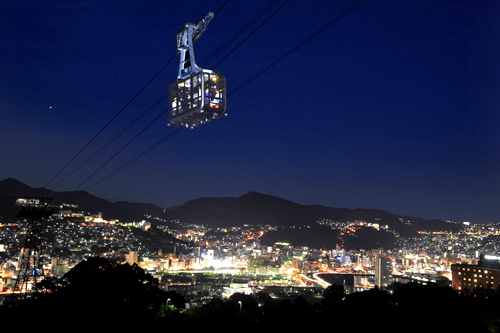 It gives the city a unique feeling and when you see it at night from Mount Inasa, you will understand why it is considered one of the three major night views of Japan. It is like looking down on the stars. Nagasaki also played a great role in modernizing Japan. 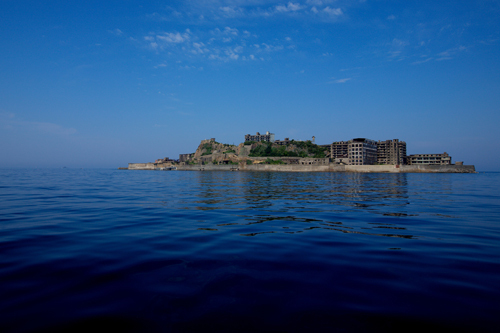 Recently included as part of a World Heritage designation celebrating the Sites of Japan's Meiji Industrial Revolution, you can easily visit these sites including Gunkanjima (aka Battleship Island, known formally as Hashima Island) and the lovely Glover Garden. Enjoy easy access to public transportation and all major sightseeing destinations. 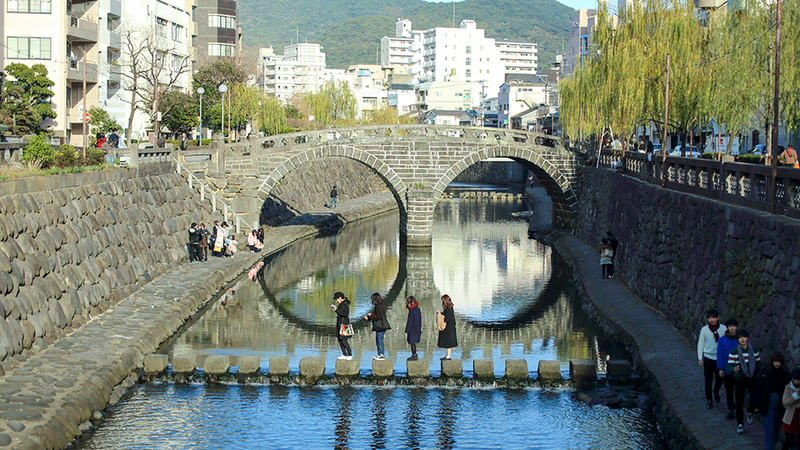 Stroll along the riverside and get to know everyday Nagasaki. Hostel AKARI is located just 3 minutes by foot from the Civic Hall streetcar station. From JR Nagasaki Station, it takes only 10 minutes to arrive at Civic Hall station. 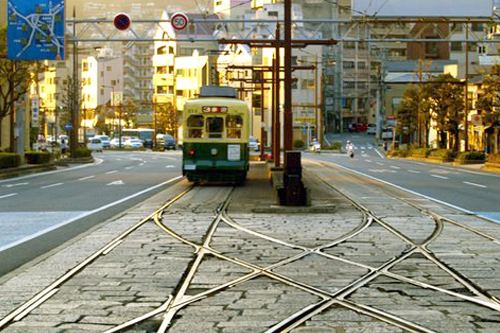 Using the streetcar system, navigate the city with ease. 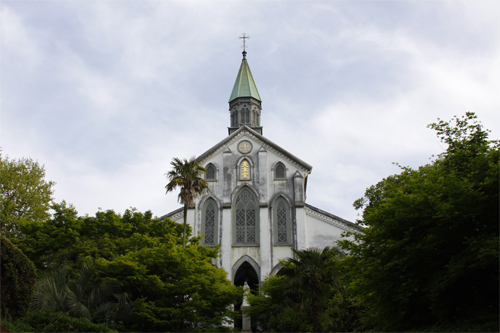 Most major tourist destinations can be reached within 20 minutes of leaving Hostel AKARI, including Oura Catholic Church, Glover Garden, and Nagasaki Peace Park. 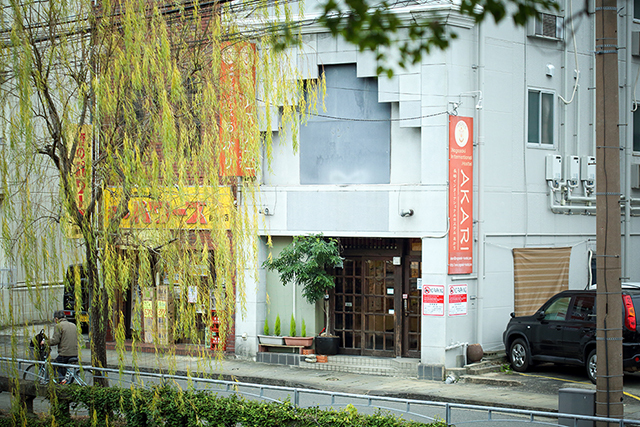 Hostel AKARI is located along the Nakashima River and after visiting the nearby Spectacles Bridge, you can wander down charming stone streets, visit bustling shopping arcades and exciting downtown Nagasaki or enjoy the tranquility of the many shrines and temples that surround Hostel AKARI. 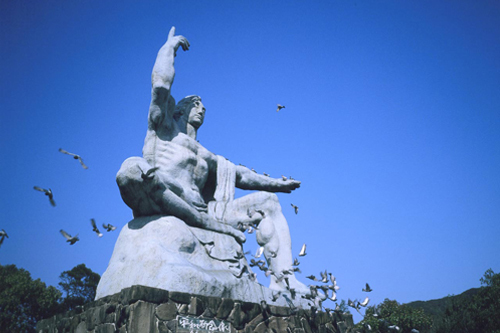 Take your time and get to know Nagasaki up close and personal. 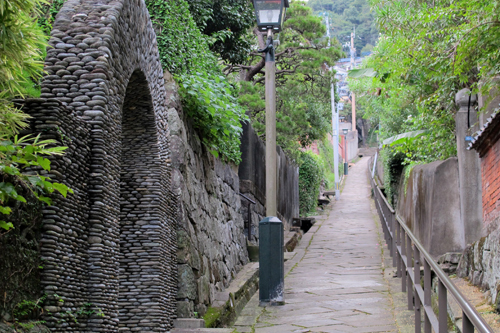 Nagasaki is a pedestrian-friendly city, perfect for exploring on foot. To increase your ease of travel, we created our own map that showcases all of our favorite spots within the neighborhood surrounding the hostel. 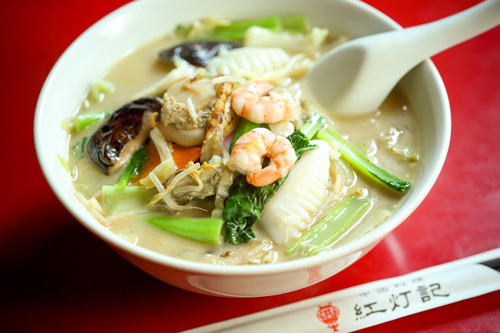 Highly informative, the map includes all major tourist destinations in the immediate area while pointing out some hidden gems that we think will make your experience in Nagasaki more memorable. 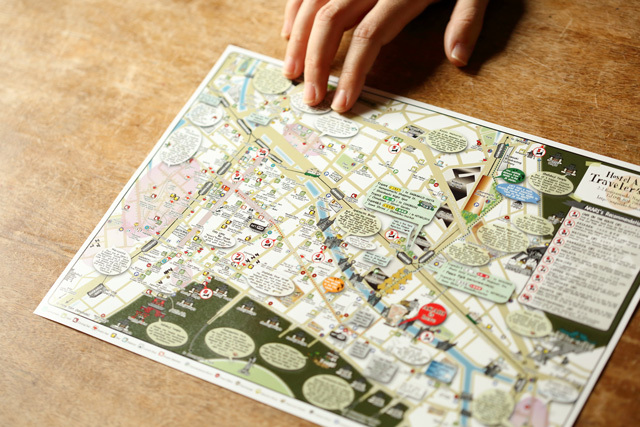 You will be provided with this colorful handmade travelers’ map at check-in and we hope you use it with pleasure.